Hi friends. 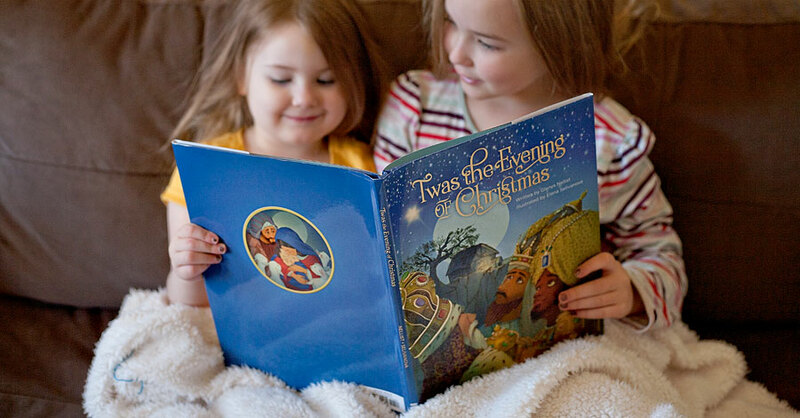 Last month, Zonderkidz sent us a free copy of ‘Twas The Evening Of Christmas to review, and my girls and I just love it. 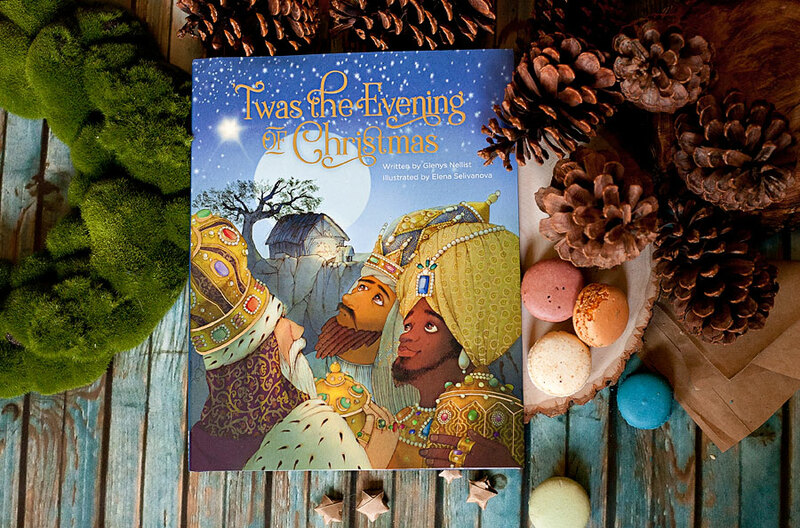 This beautiful Christmas tale written by Glenys Nellist and illustrated by Elena Selivanova is a retelling of Clement C. Moore’s ’Twas the Night Before Christmas that tells the story of Jesus’ birth. We were excited to receive this book after reviewing Glenys Nellist’s Love Letters from God: Bible Stories for a Girl’s Heart and being thoroughly impressed. I LOVE ’Twas the Night Before Christmas. My Dad used to read it to us every Christmas Eve and now I read it to my own girls. I could immediately tell as I was reading ‘Twas The Evening Of Christmas that the language of the retelling matches the old poem beautifully. Every page flows in the same charming, melodic way. I honestly kept waiting for it to veer away or stop working as well, but it never did. Page after page of this book left me smiling both at the flow of the language and of course the story itself. Liberties were taken of course, with things like the wise men arriving that very night, but we put wise men in our nativity scene so it definitely didn’t bother me.